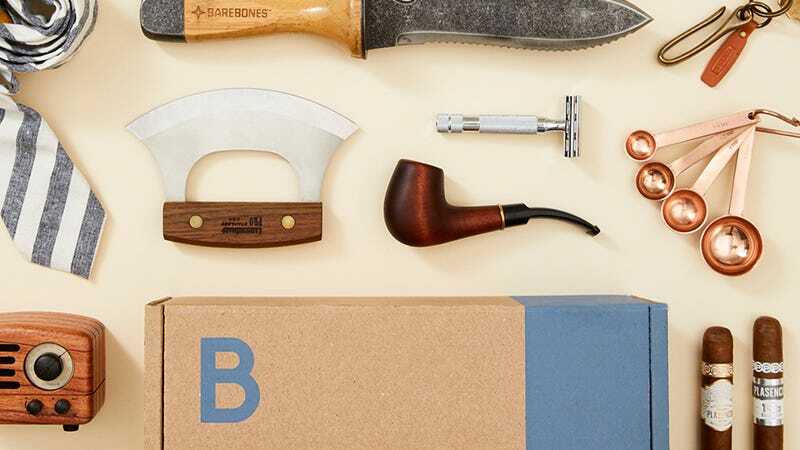 Bespoke Post is the subscription club for men delivering goods from small-batch brands in categories like barware, apparel, travel gear, and more. Get started by taking the lifestyle quiz, then on the 1st of each month, Bespoke Post will email you with a full view of the box contents. Sign up and get your first box for $45 plus a second mystery box free, worth up to $50. Full details here. Discount applicable to boxes only. Promo valid 11.23-11.25.